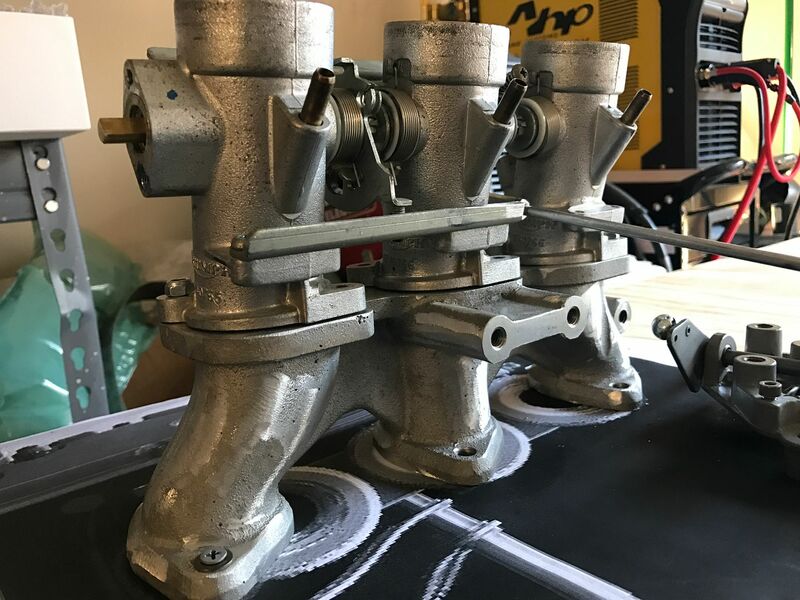 The Closed Course Motorsport Triumph ITB linkage was developed to adapt the Porsche throttle linkage to the Triumph Individual Throttle Bodies (ITBs). 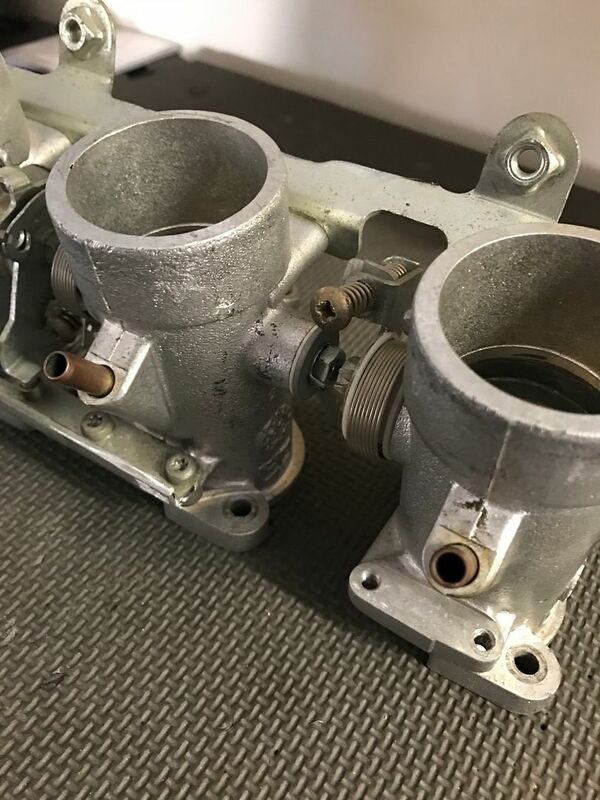 While it was specifically designed to be used with Triumph throttle bodies, it may fit others as well. 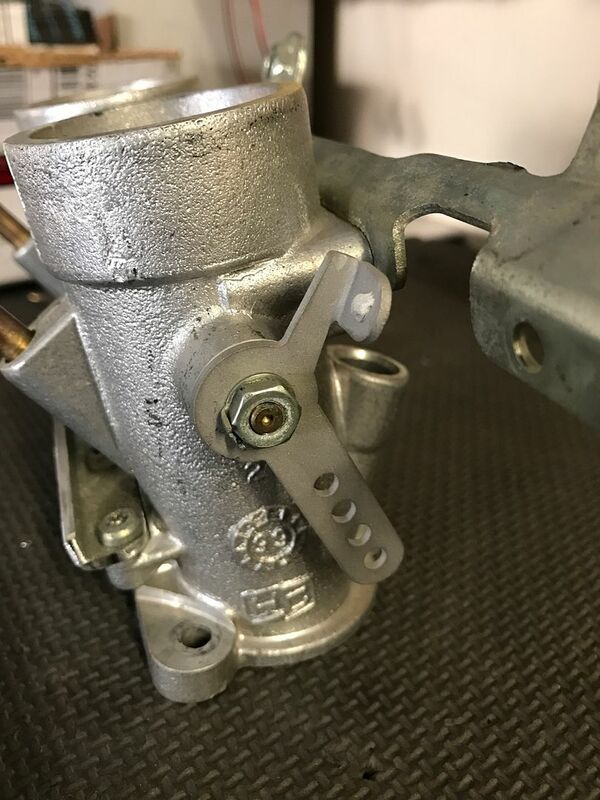 The fuel rail and idle stop bracket have accessory brackets on them that will no longer be used and interfere with the new linkage. 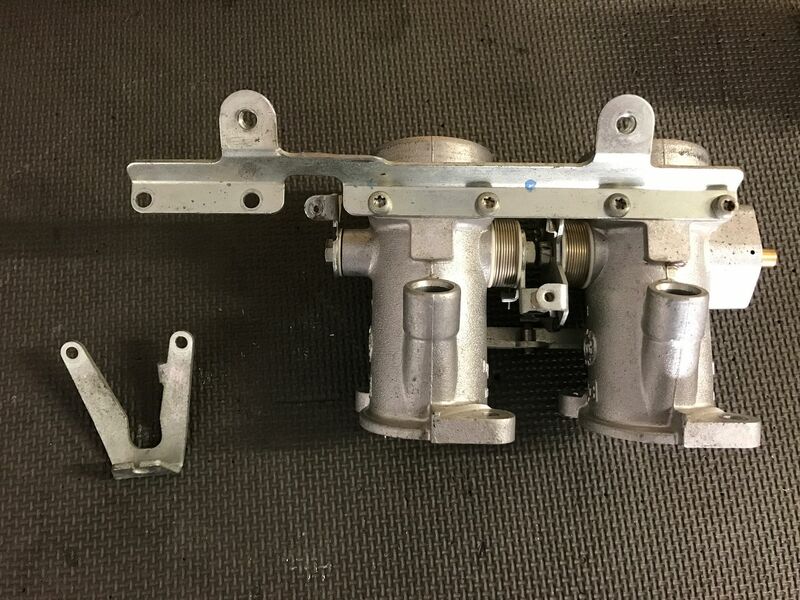 Note: There is a spring between the linkage that will fall out, save this. 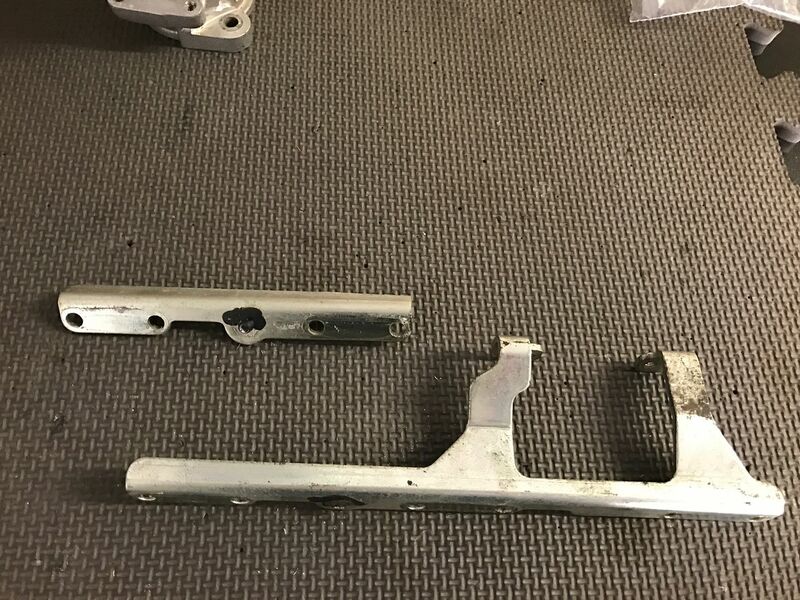 Cut the fuel rail bracket to remove the extra bracket. Reinstall without the cable linkage bracket. 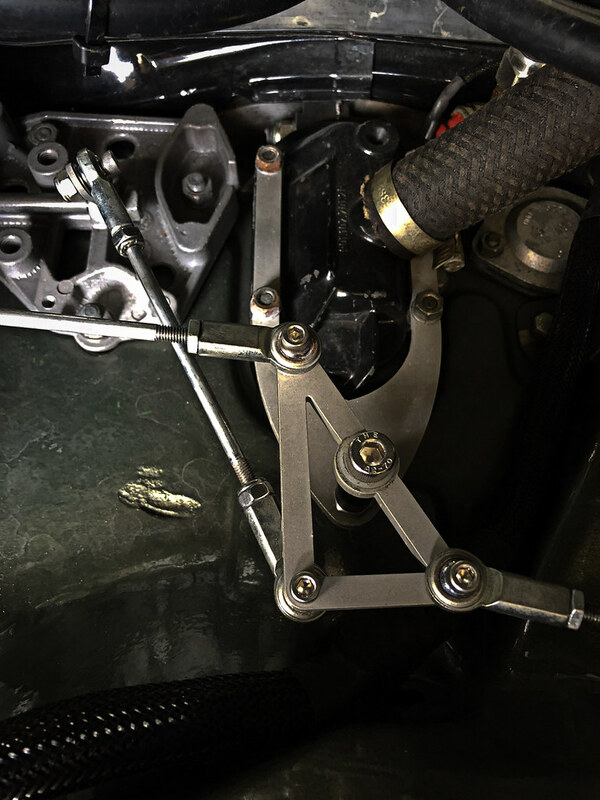 The Triumph linkage arm is held on with a 10mm nut. 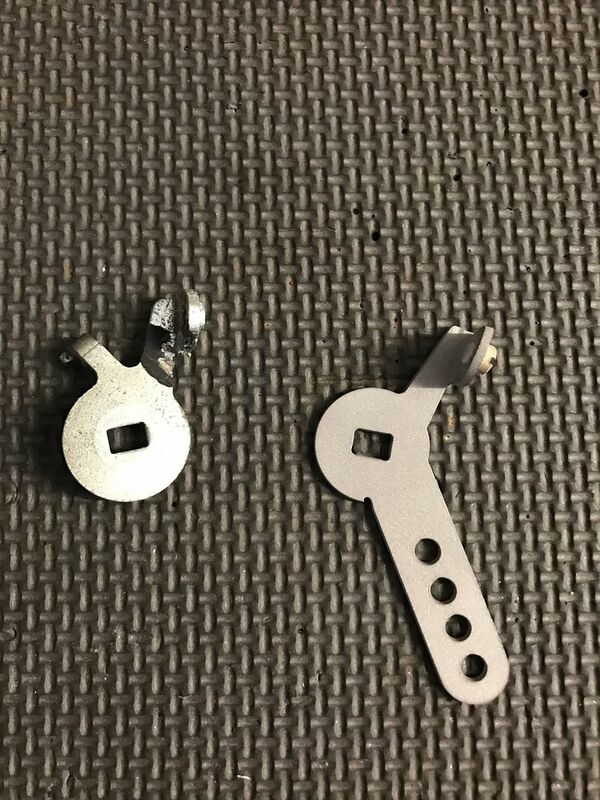 There is a lock washer with tabs that must be bent over prior to the nut removal. Leave the nylon washer in place. 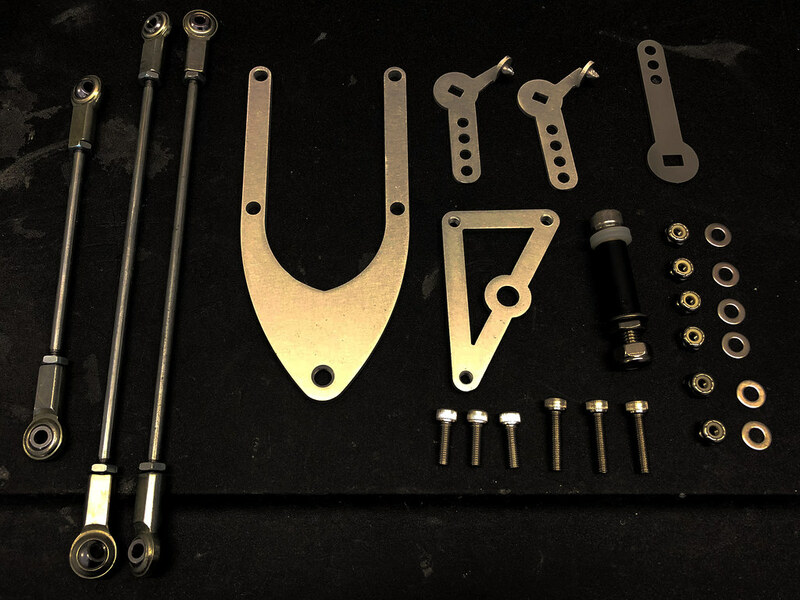 Install the Closed Course Motorsport linkage arm. Reinstall lock washer and 10mm nut. Bend washer tabs up. 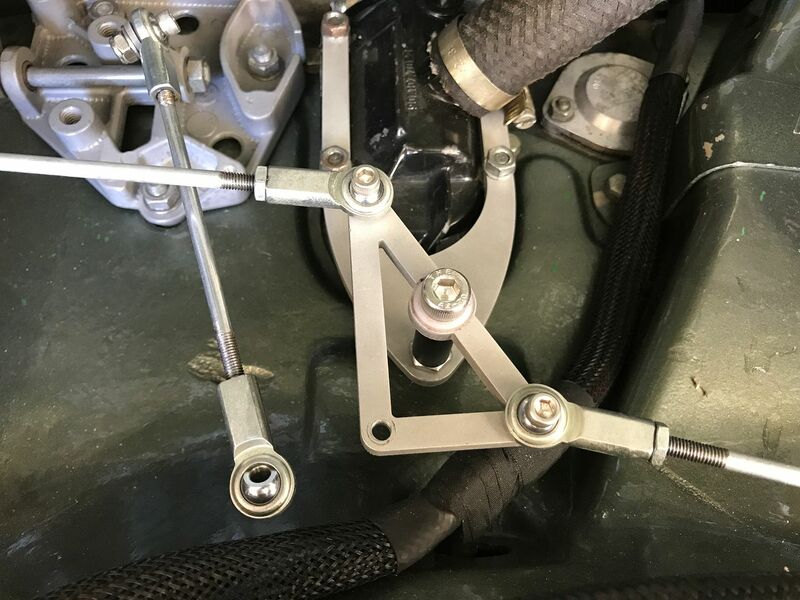 Install the fuel rail bracket with (6) torx screws. Reinstall the linkage spring between the new linkage arm and the old one. 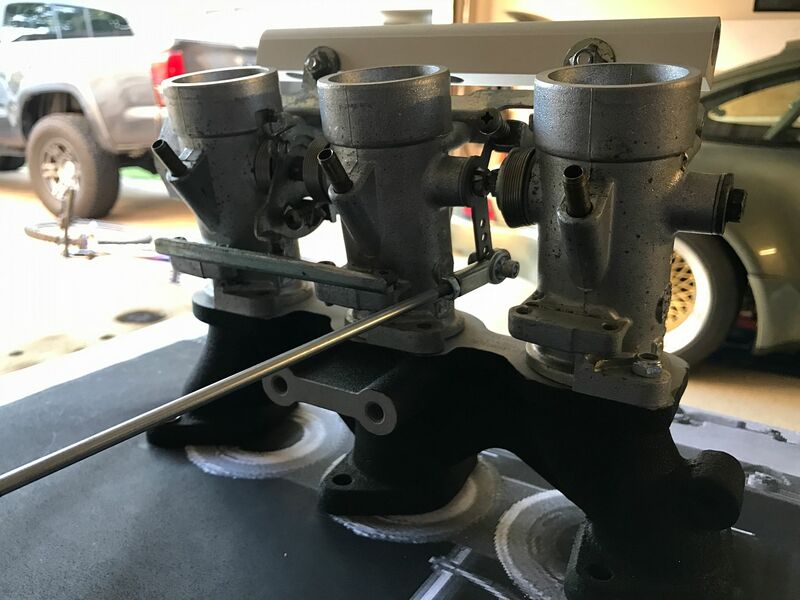 Step 4: Install throttle bodies onto manifolds and onto engine. 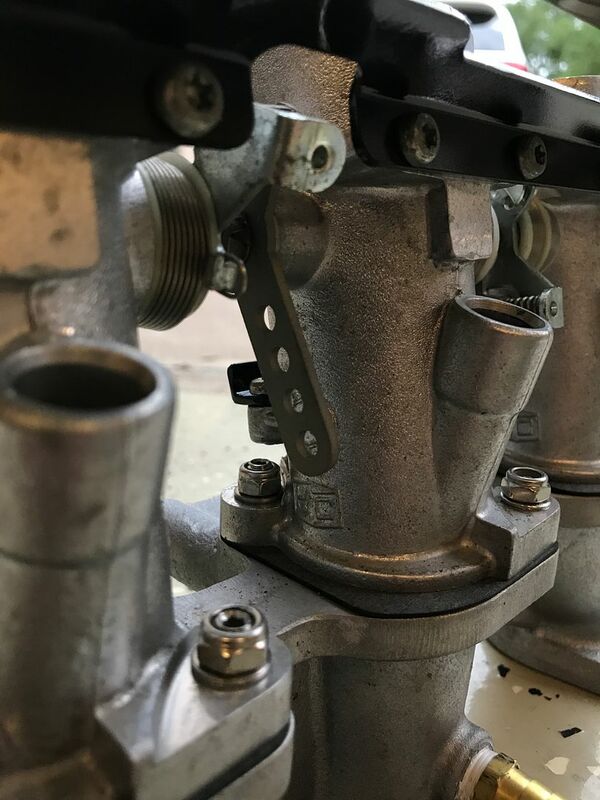 Install ITBs onto cast aluminum manifolds with (6) m6 studs and lock nuts. 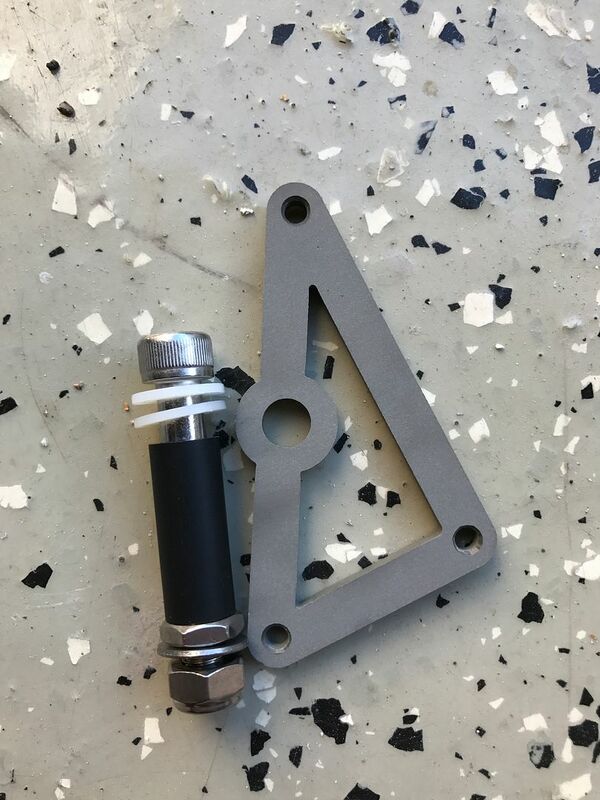 Assemble pivot linkage with nylon washers and spacers. 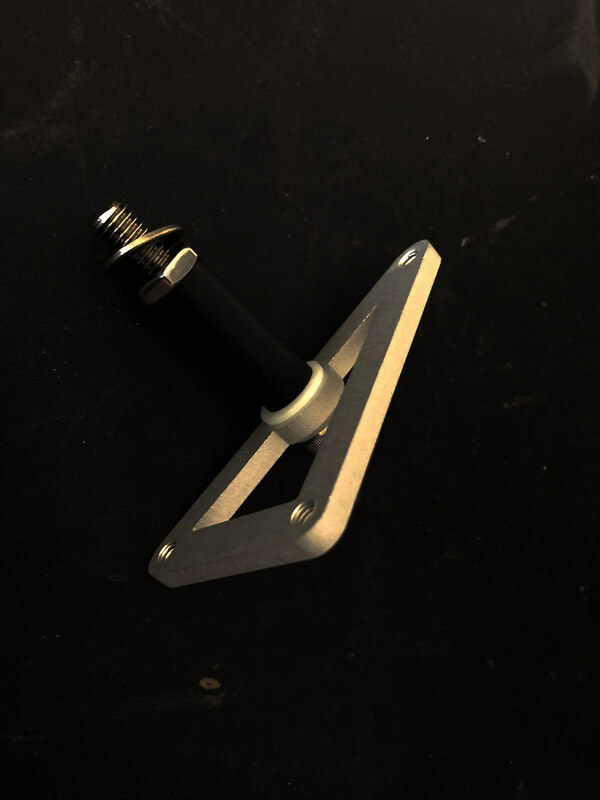 Install one nylon washer on the the allen bolt, then coat the shaft of the bolt with grease. 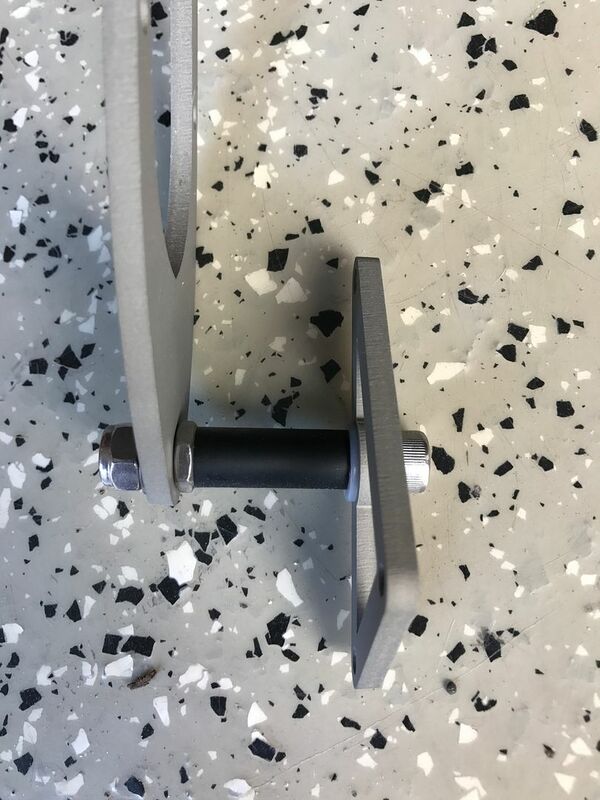 Install the center pivot with another nylon washer following it. The black nylon spacer and nut is then installed. 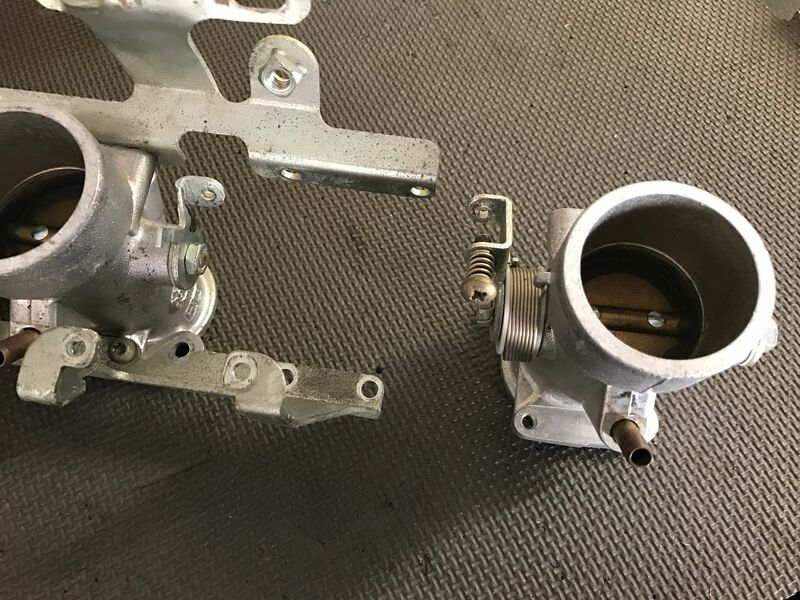 The assembly is then screwed into the oil breather bracket. 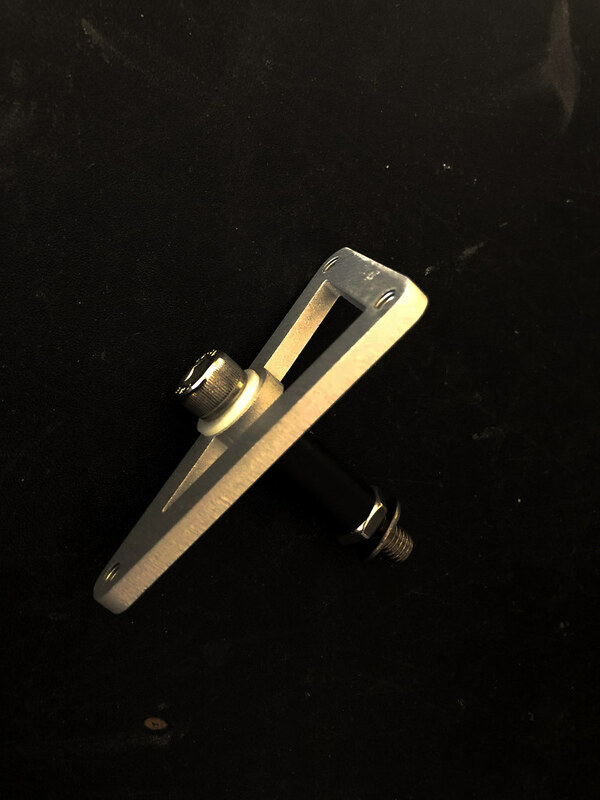 The allen bolt must be screw in and out until the tension on the center pivot allows smooth movement. It should not be loose with play vertically, nor too tight to move smoothly. Once adjusted, tighten the nut against the bracket to lock it in place. Install a washer an lock nut on the bottom complete the install. 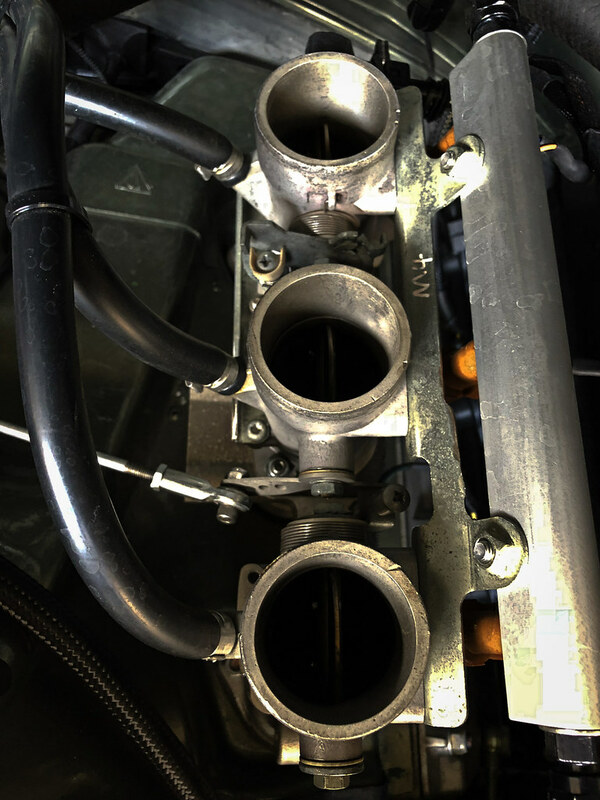 Install Closed Course Motorsport oil breather housing pivot bracket onto oil breather housing. 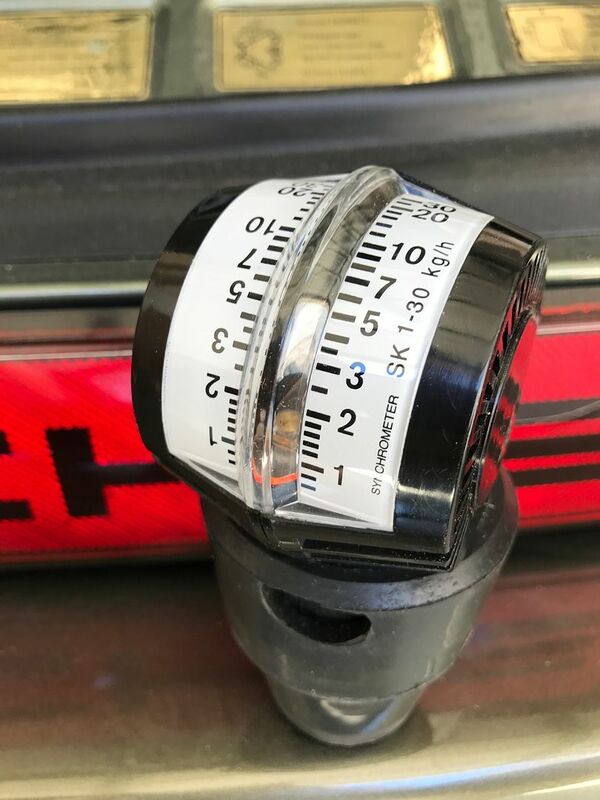 A carburetor synchrometer, available from Pelican or Amazon (Part #: PEL-PMO-STE-BK), is used to measure the kg/h at each cylinder. 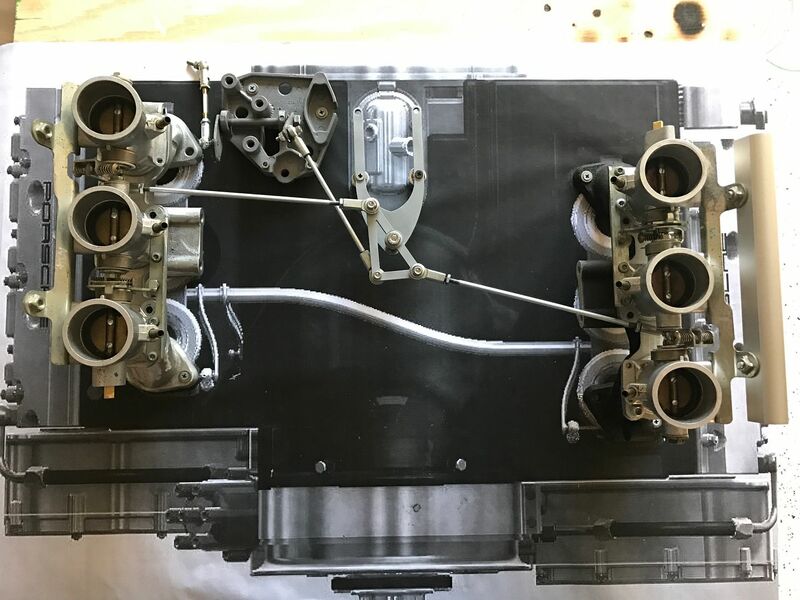 With the car running, likely roughly, start at cylinders #1 and #6. 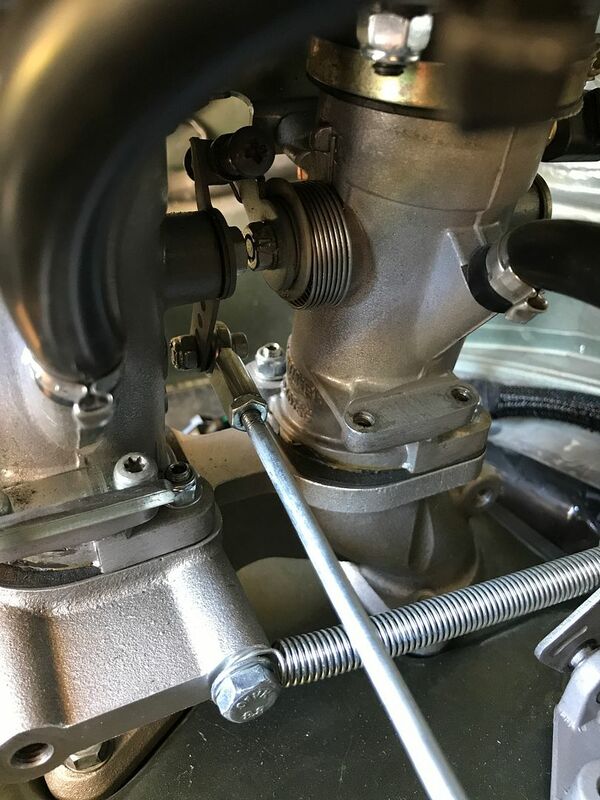 They are adjusted with the throttle stop adjustment screw. This is a 2.5mm allen head. Turn the screw in and out to get an kg/h reading of about 5-6 which should set the idle around 900-1000 rpm. 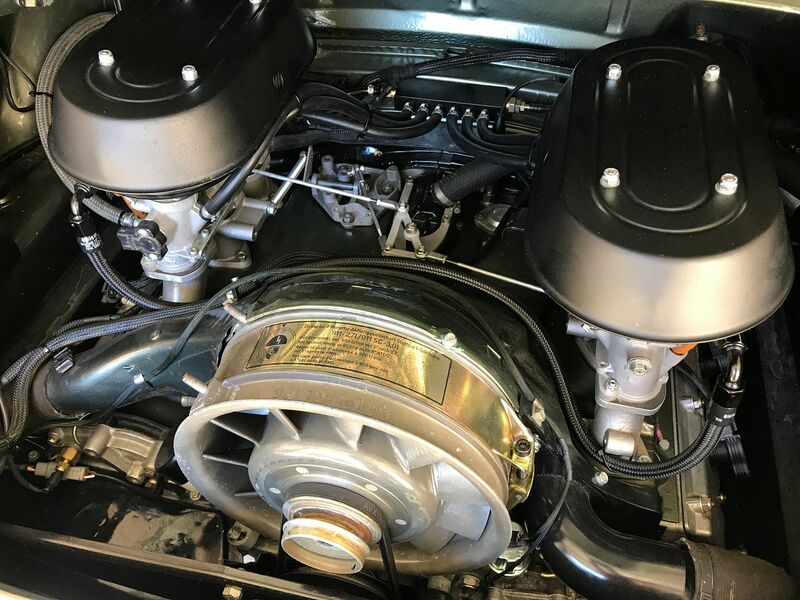 Once both idle stops are adjusted evenly, the engine should be running much smoother. 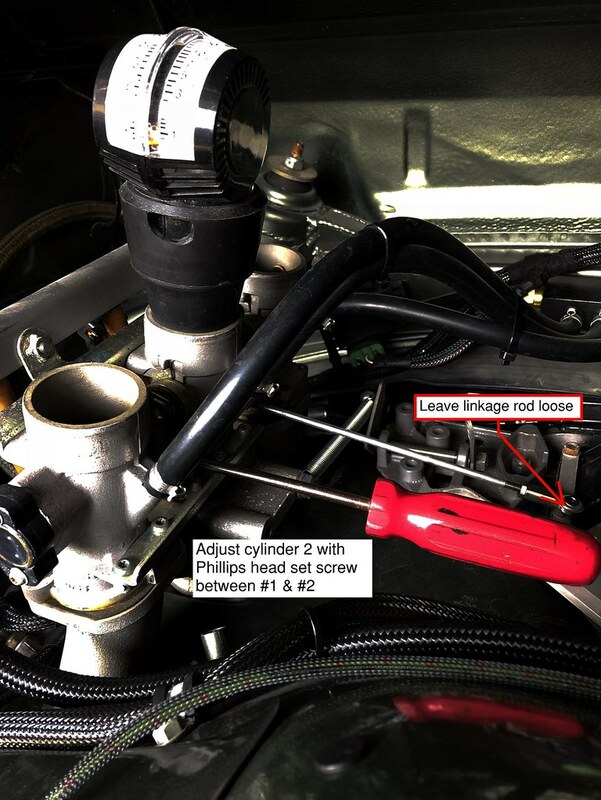 Using a phillips screw driver, turn in and out the adjustment screw between the first and second throttle body until the kg/h reading is as close as possible to cylinder #1. Check the readings between #1 & #2 as adjustments are made. 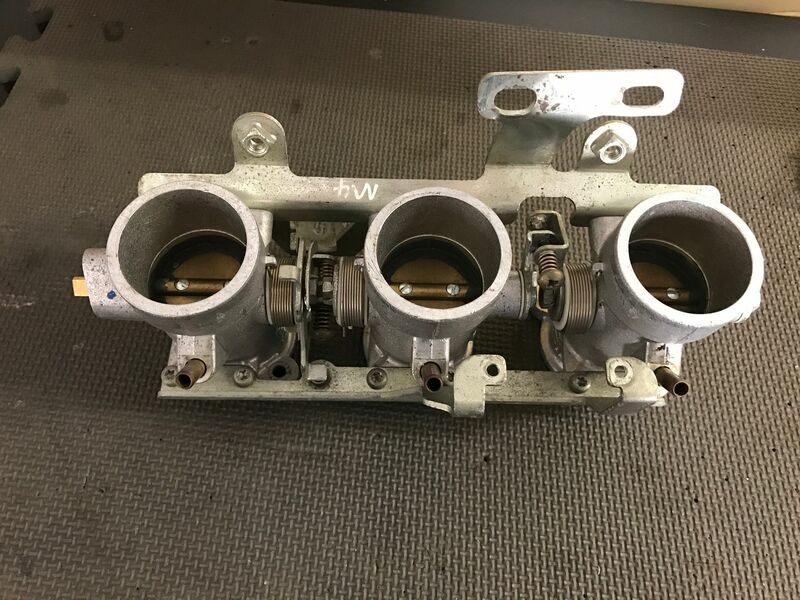 Then move to cylinder #3, turn the adjustment screw between the second and third throttle body to match the readings of #1 & #2. This one will likely be the furthest off as removing and replacing the linkage arm and spring throws this off. Check the readings between #1, #2 & #3 as adjustments are made. Once the drivers side bank is complete, everything on that side should be very close to being even. Then repeat the process on the passenger side starting with #5. 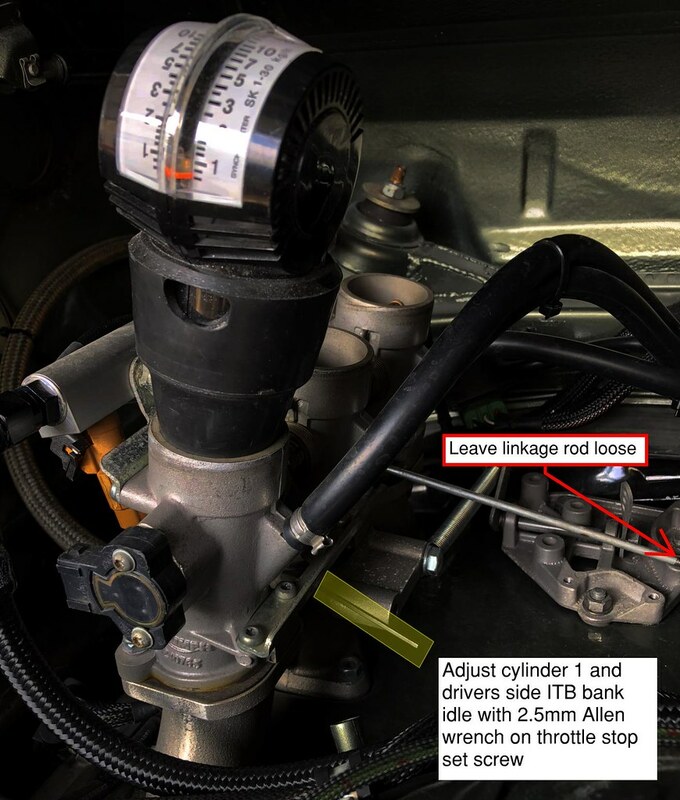 The adjustment screw is located between #6 & #5. 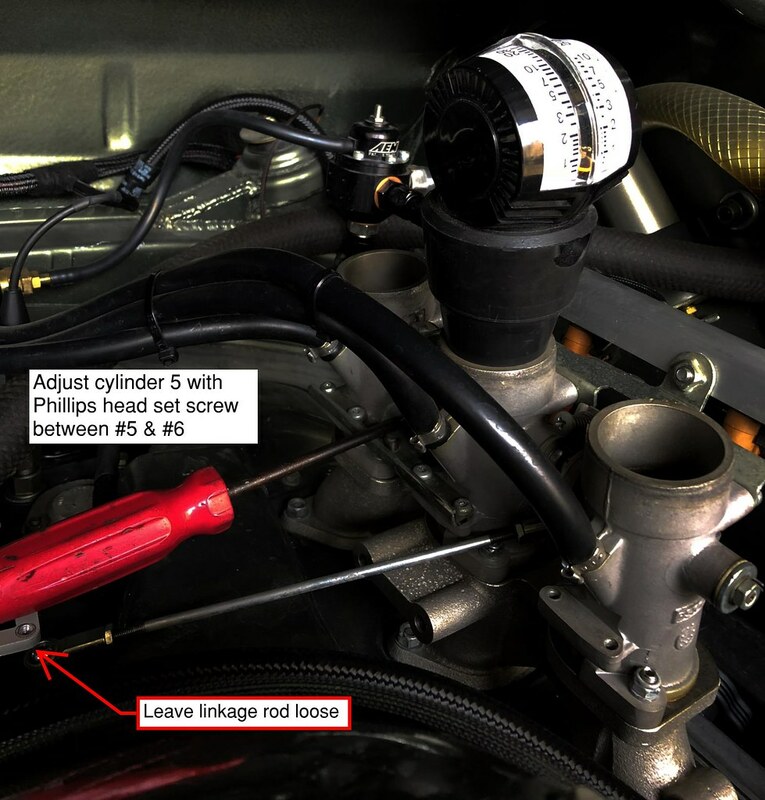 Lastly, adjust the screw between #4 & #5 to set the kg/h on cylinder #4. 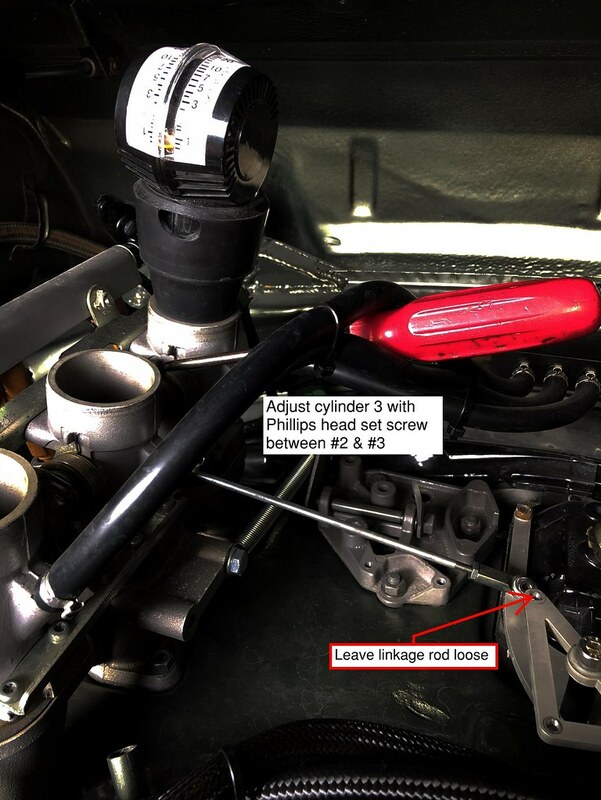 Once each bank is balanced both to each other (1-3 and 4-6) and to the opposing bank (drivers vs passenger) the idle set screws can be adjusted to set the idle. 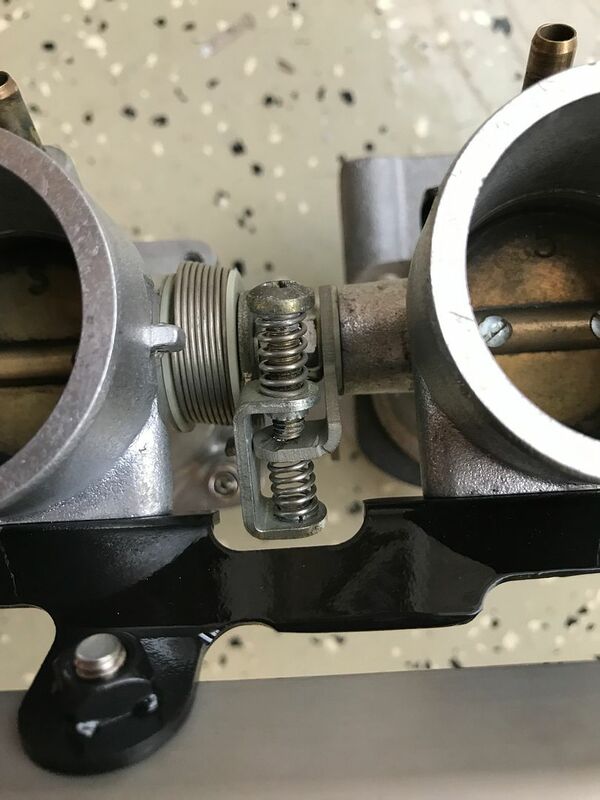 The banks should be balanced, so you should not have to adjust the phillips screws, just the 2.5mm allen for the idle stop. 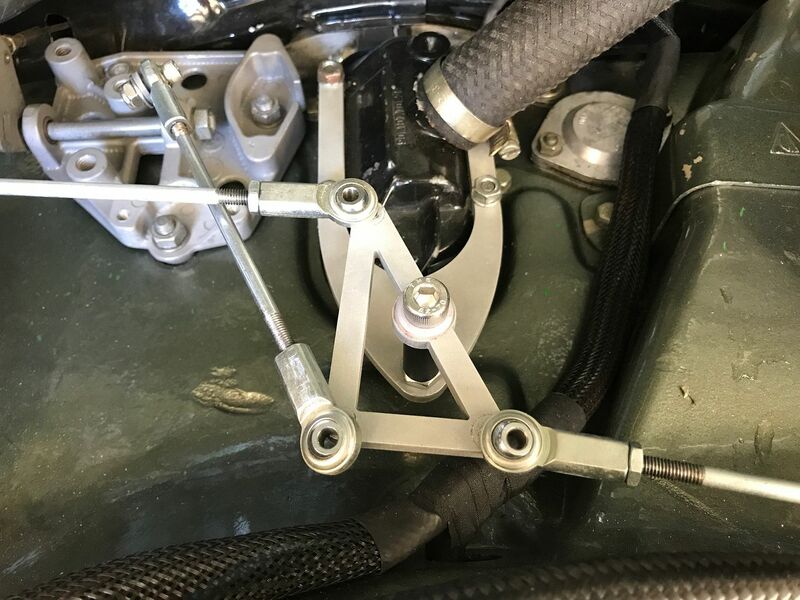 Once the idle is set and everything is balance, the linkage rods can be connected. 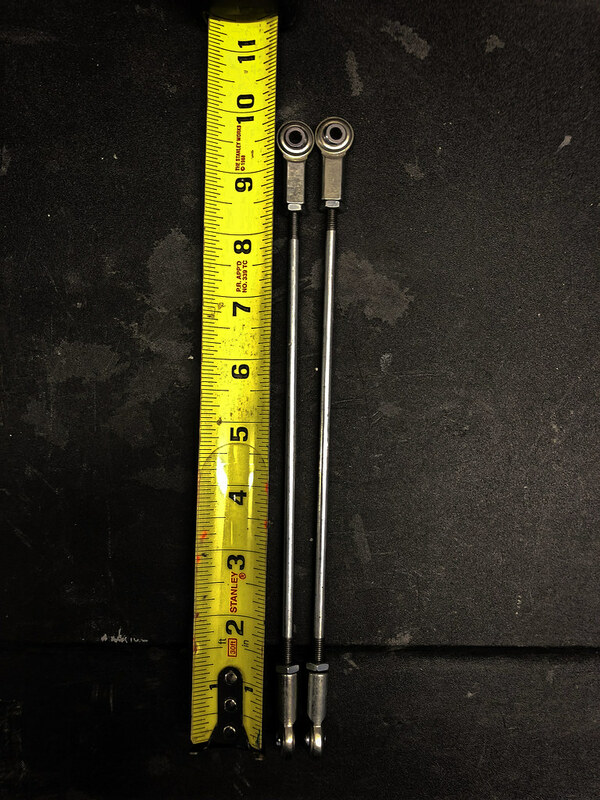 The length of the two rods should be as even as possible at approximately 9" eyelet to eyelet when the center pivot is parallel to the center-line of the car. Adjust by spinning the eyelet on the end when it's loose to the proper length. Install the 2 ITB linkage rod bolts. The washers go between the eyelet and the center pivot for additional clearance. 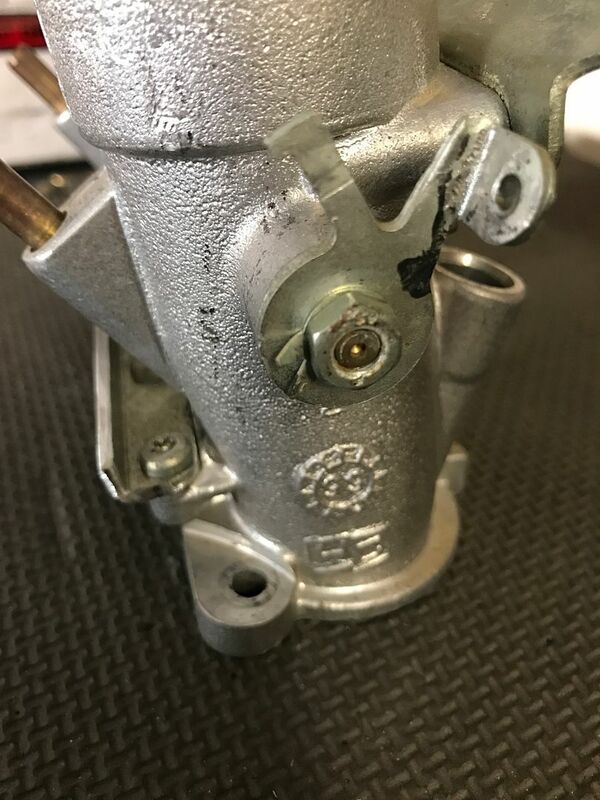 There should be no change in idle with these connected, there should be a little play before the throttle is engaged. 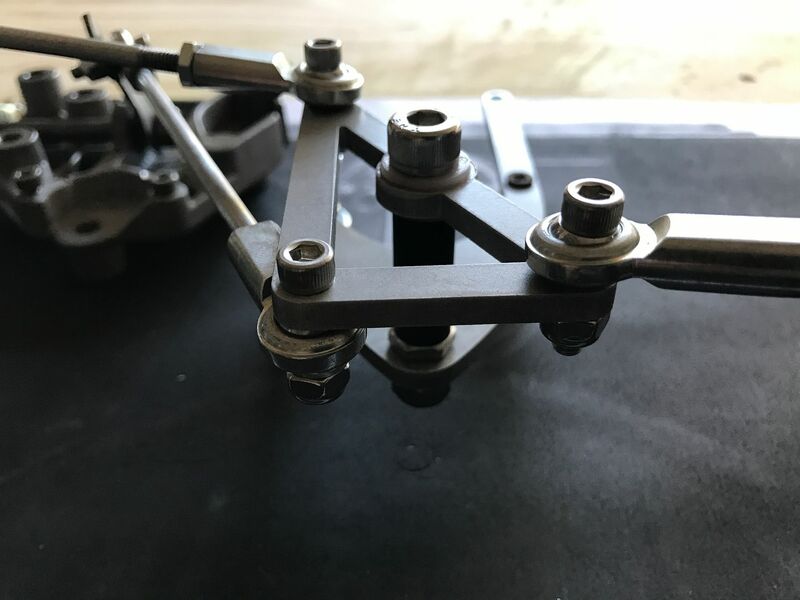 With both linkage rods and bolts installed, the center pivot should twist freely by hand, both ITBs should open freely and complete, and then close completely and freely upon release. If this does not happen, it's likely due to the ITBs binding. 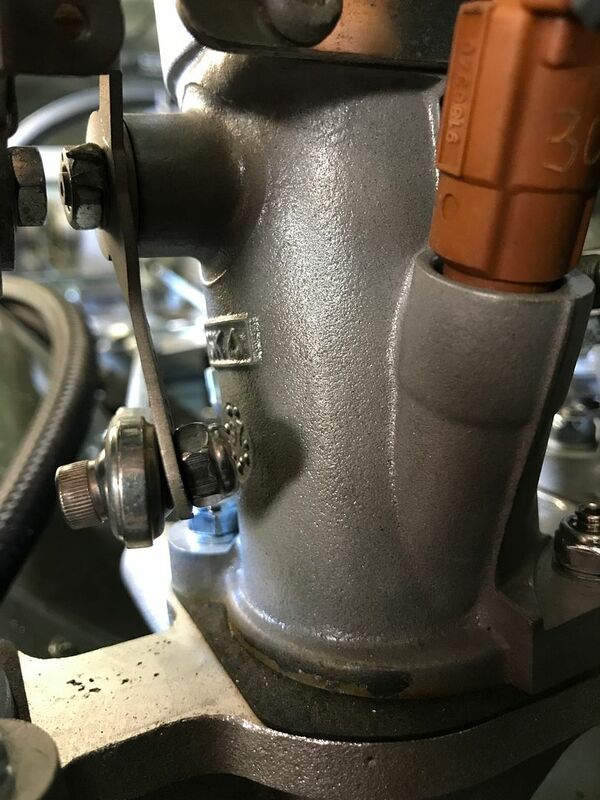 The fix is to slightly loosen all the manifold nuts and bracket bolts, then open & close the ITBs a few times to relieve the binding, then re-secure the nuts and bolts. 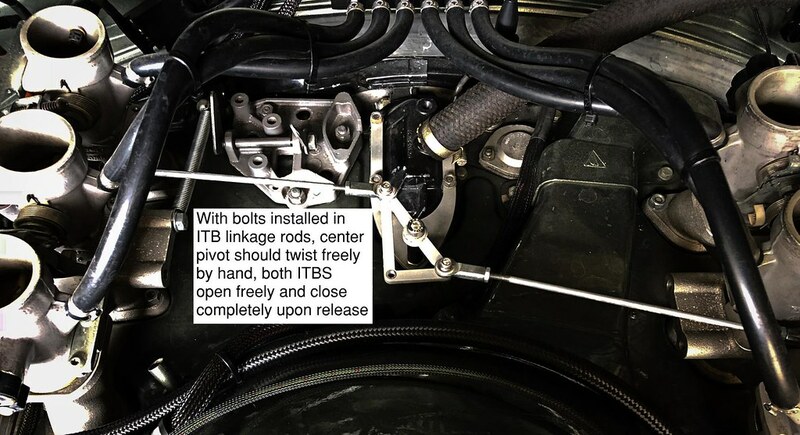 If they haven't been installed already, the linkage rods can be bolted to the ITB arms. 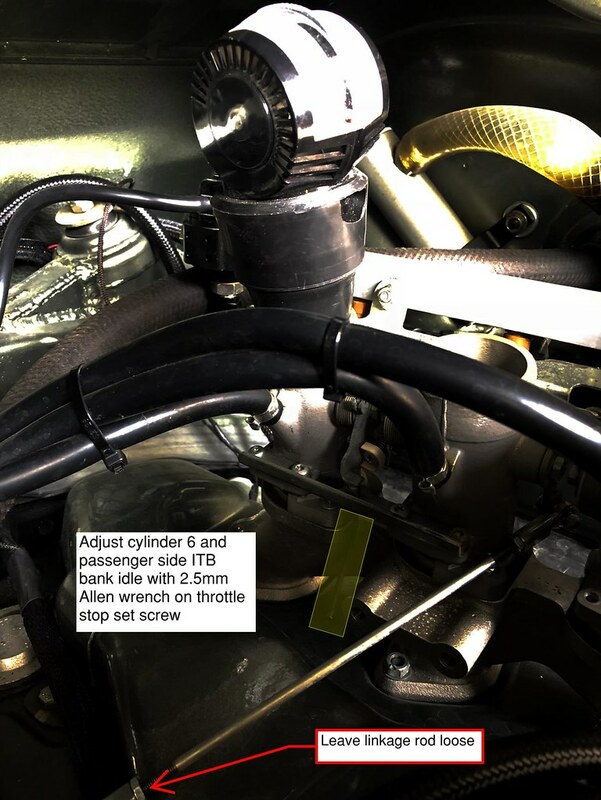 The ITB arm on the passenger side may need to be twisted slightly to achieve the correct linkage rod angle. Last up is the bellcrank linkage rod. This should be approximately 6" eyelet to eyelet. The washer should go between the linkage eye and the center pivot to provide additional clearance. 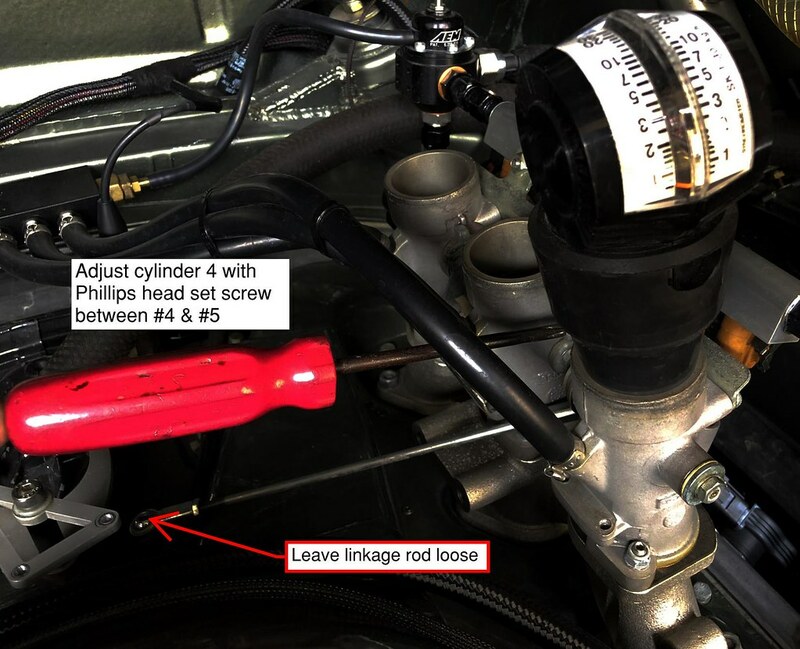 Similar to the ITB linkage rods, this one should have a very little amount of play and the throttle/idle should not be affected when adjusting the length. It should be just loose enough to not engage the throttle. This arm also needs to be twisted slightly to achieve the correct linkage rod angle. 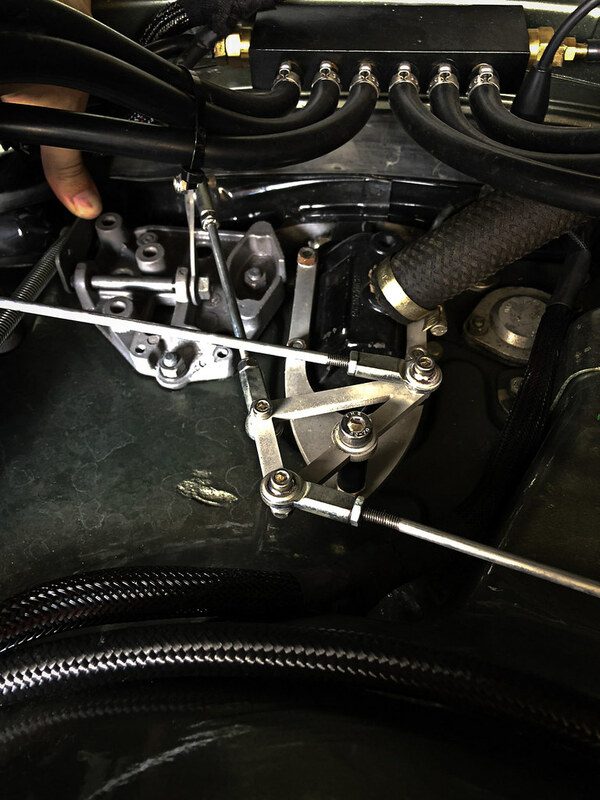 A spring can be used to help keep the 911 bellcrank in the up position during installation. The last bolt on the linkage rod can now be installed. The short linkage rod length should be adjusted to allow the ITBs to fully open when the center pivot is opened completely. 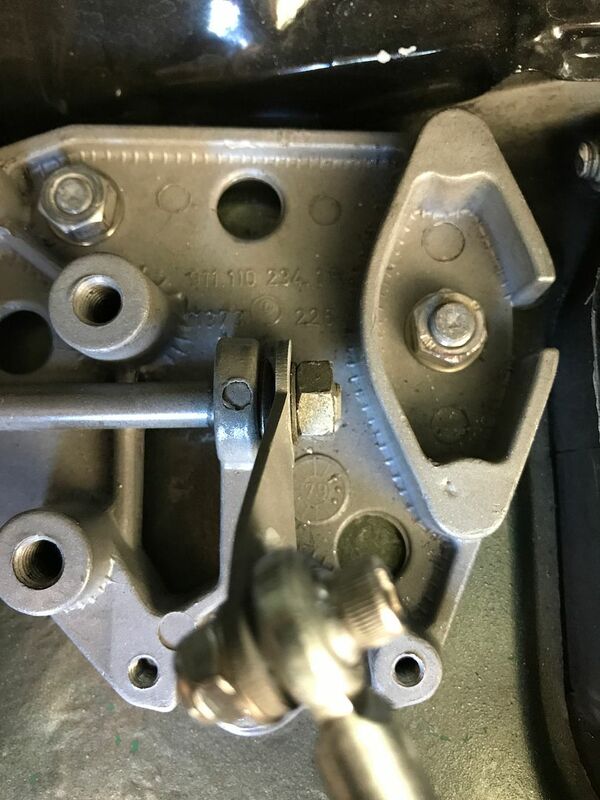 If you cannot get this adjustment, you may need to adjust the stock throttle linkage at the pedal or transmission to gain further adjustment. 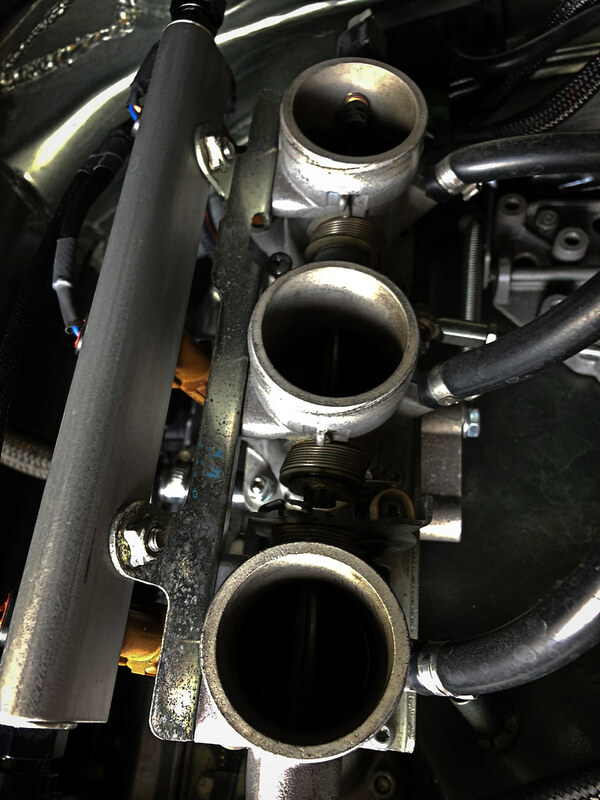 When the linkage is complete, the air filters can be installed. 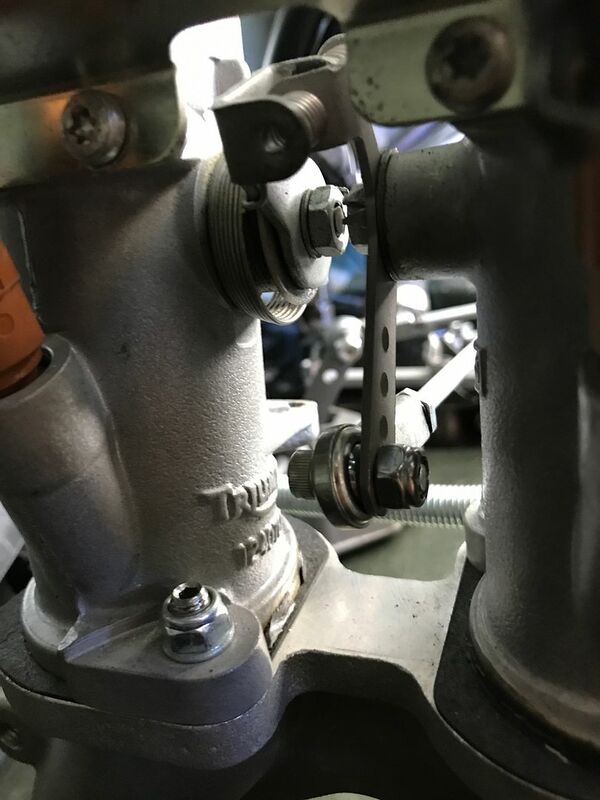 A spring can be installed between the manifold and CIS bellcrank. 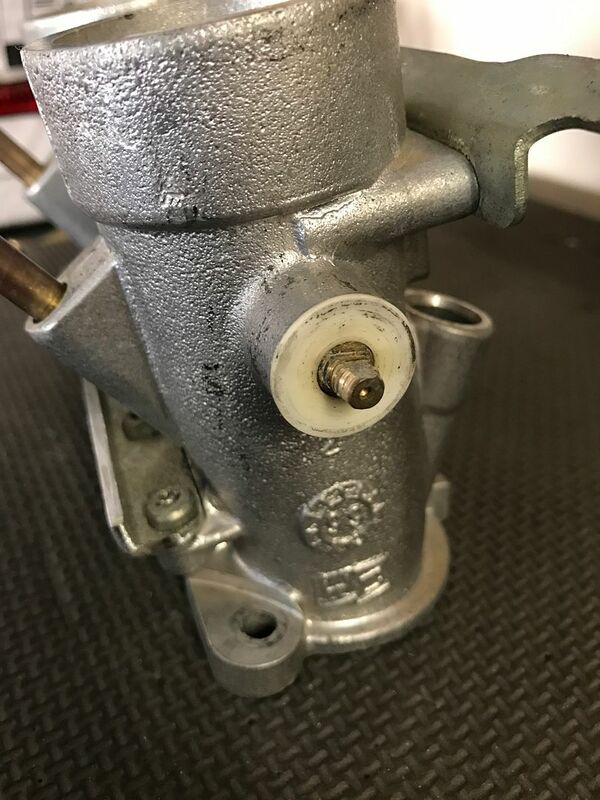 This is mainly to keep the bellcrank in the "up" position while installing everything else, but it does help with the throttle return. If all the linkage is adjusted correctly, it should be smooth and the ITB springs are enough for a quick return.